One of the most fascinating mushrooms, a species that is not very often noted unless an eye is kept to the forest floor, is the tiny Oak Leaf Marasmius or oak leaf parachute mushroom. Scientifically, the Marasmius capillaris is a species of agaric fungus in the family Marasmiaceae. The delicate fruiting bodies (what we call mushrooms) grow in clusters on decaying oak leaves. The decomposing leaves provide these beauties, that look like tiny parachutes, with all the nourishment they need. 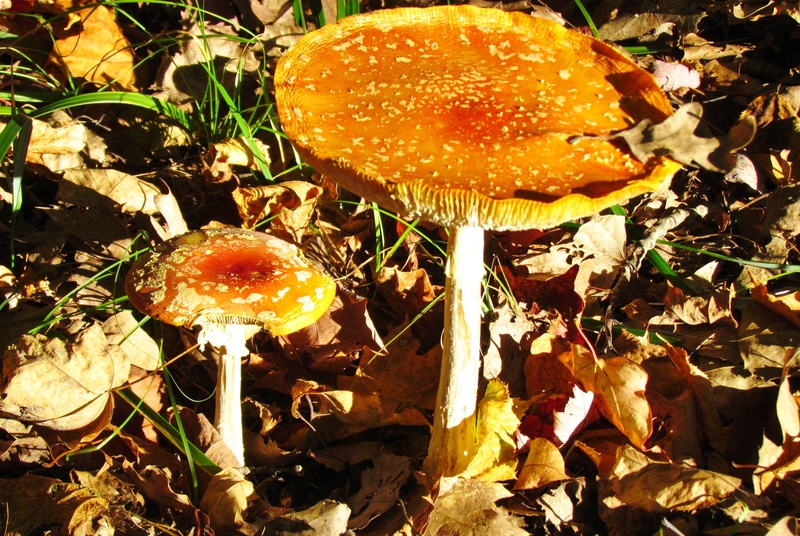 The weather patterns of the past few weeks have accelerated the growth of many species, one being the Amanita Muscaria, more commonly known as fly agaric. She is a true beauty with outstanding color and rich with history, legend, lore and cautions. The fly agaric is high up on the do not consume list. This woodland mushroom is widely known as the hallucinatory mushroom that was perhaps responsible for Alice taking a trip into Wonderland. Another member of the Amanita family is a pure white mushroom that has the well-deserved common name of Destroying Angel. Symptoms of poisoning often don’t appear until hours after eating and include violent vomiting, diarrhea, and cramps which are followed by kidney or liver dysfunction and often lead to death. 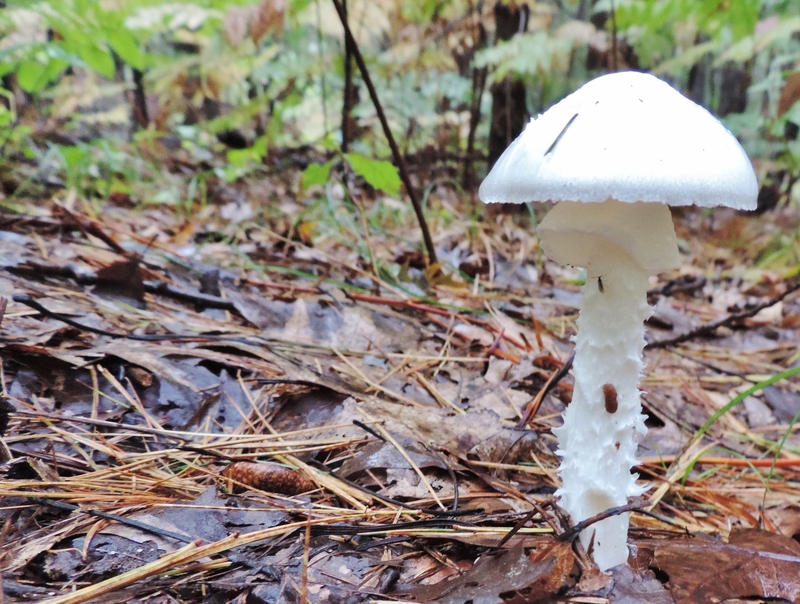 There really is no better time than now to hike the 68 miles of our beautiful Oakland County Parks trails with an eye out for fantastic forest fungi—but a word to the wise: Don’t pick. 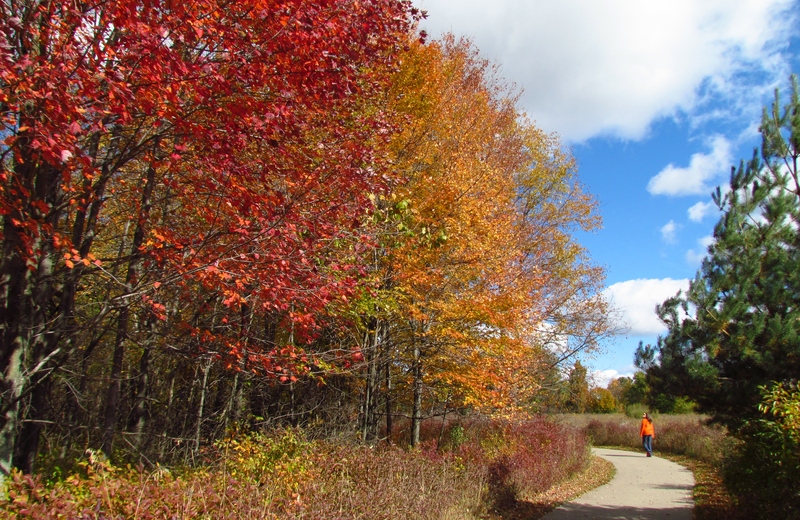 Visit DestinationOakland for locations and trail info for all 13 Oakland County Parks.